Here in Tournament Town, I always make sure to get in on at least some of the March Madness (and to be clear, March Madness begins with conference tournaments, not just the Big Dance) action here or nearby. Usually, it's a Fat Day - the double-doubleheader of an early- or quarterfinal round in a conference tournament - at the ACC men's or women's tournament. Occasionally, I make it up the hill to the SoCon tournament in Asheville, or catch early NCAA tournament action with a local host. 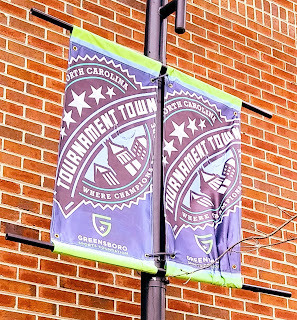 This season began with the second round of the ACC women's basketball tournament, a full Thursday posted up in the Greensboro Coliseum (and in the break, the brewery across the street). Twelve hours yielded four games, eight teams, eight bands. 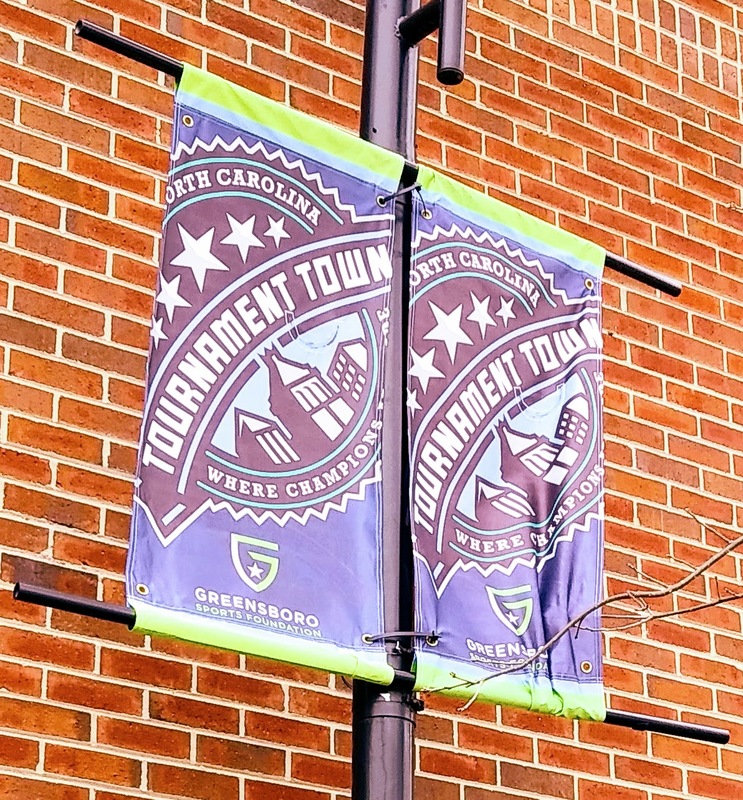 While Greensboro was only slated to host two basketball tournaments this year, we were gifted with bonus basketball as UNCG's men's team hosted two NIT games after missing the NCAA Tournament. I caught the second of these, which saw the home team fall to Lipscomb, ending their season. Of note: Lipscomb didn't bring their band, which I personally consider a cardinal offense for any team that earns postseason play. Today I bought my ticket for this weekend's action: The Greensboro Regional of the NCAA women's tournament. As I type this, South Carolina and Iowa have already punched their tickets, while NC State, Kentucky, Baylor, and Cal will vie for the remaining two spots. I'll catch Saturday's doubleheader before laying live college basketball to rest until at least the fall. When I March, I March HARD.